Attention Fiat fans and owners! The July 1 normal registration deadline for the 2015 Fiat FreakOut is drawing near. After this Wednesday, there is a $50 late fee, so get your registration in now! The Fiat FreakOut is the largest get together of Fiat Group cars in North America! A four-day event that is filled with cars, activities and enjoyable, fun people. 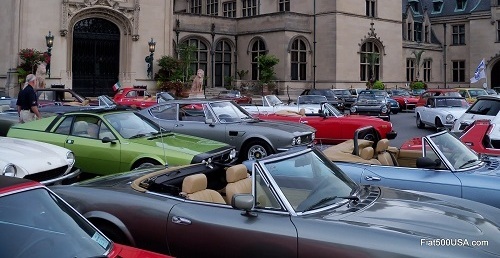 This year the FreakOut, which is in its 32nd year, will be held at the Pittsburgh Vintage Grand Prix as part of the Italian Cortile car show and promises to be the best one yet. Expect to see numerous examples of beautiful and exotic Italian design, plus car show participants get passes to the races. The 2015 Fiat FreakOut Announced! The 2015 Fiat FreakOut runs July 15-19. Visit the Fiat Club America website to get more info. Don't miss it!